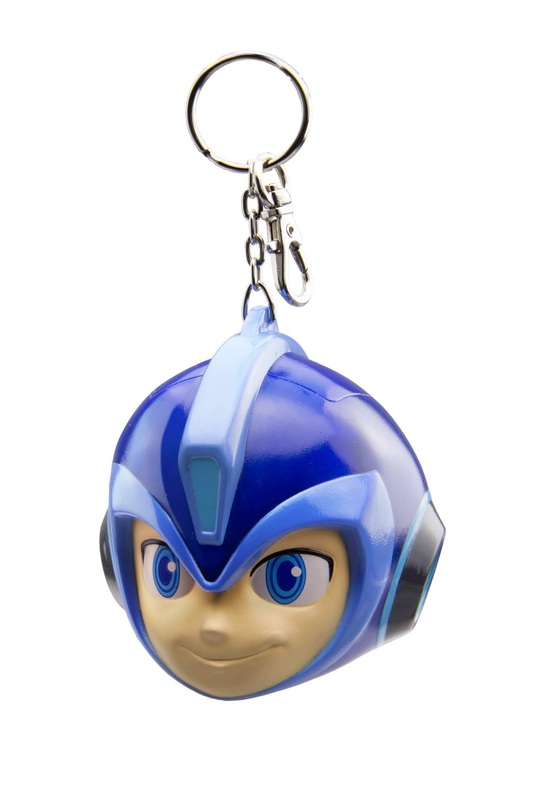 Today, Toynami announced their full lineup of San Diego Comic-Con 2018 exclusive collectibles, which includes our very first piece of Mega Man: Fully Charged merchandise. Behold – a Mega Man/Aki Light clip-on, keychain thing! It'll set you back $12.99. No word on just how big or small this guy is, but at that price? Phew. You can pick it up at Toynami's booth (#3229) in a few weeks. The fact that this will be at SDCC gives further credence that Fully Charged will be at the con in some capacity. In fact, I've been informed by two animators working on the show that we could be seeing something even sooner. I'll keep an ear to the ground but, yeah; it really sounds like we're getting an official reveal in July. I have seen the many eyes, many smiles, and many helmets of the many characters' 1up "icons" throughout the various Mega Man games. Never, once, was I ever disturbed. Seeing this, however? You bet your bippy that my jimmies are rustled. Waaah. Look at all that great input. It's a small, promotional keychain at a convention. Surely you didn't expect it to be a work of art. It looks fine for what it is. Seriously, seems like commenters here have problems with things that they're choosing to stay deliberately away from, but they still feel the need to say something about it. You were expecting constructive criticism from a fan-base? Waluigi Time is a fun time. Wah! I don't know if it's the eyes, the mouth or the combination but it just looks strange. If the smile wasn't as wide as it is, I think it would look a lot better. I'm just glad the show is finally going to get revealed in an official capacity. It'll probably be mediocre/average, but all these drip-feed teases have just made me want the premier to be gotten over with as soon as possible. Because then I'd have more of an idea of what it truly is.